Dermal fillers and wrinkle fillers have become the first-line defense against the signs of aging. Years ago, all we had to choose from were mini, half, and full facelifts. Sure, they are extremely effective procedures, but they’re also quite invasive and have a long recovery time. Today, injectables are providing a youthful look with zero surgery. If you’re like millions of others who are considering fillers, here is how you can get the very best results. Have Allergies? Try Blood Plasma Fillers. Some people have sensitivities to medications, preservatives, and certain chemicals. Fillers are FDA approved and safe to inject, but those who commonly have allergic reactions are not good candidates. The Vampire Facial or Vampire Facelift is an excellent alternative to traditional dermal fillers. The patient’s blood is drawn just prior to injection, it is spun in a centrifuge to separate the plasma, and then the plasma is injected into wrinkles, creases, and folds. Because the plasma comes from your own body, allergic reactions are not a concern. Results last anywhere from 12 to 18 months, which is actually longer than many dermal fillers on the market. The provider is under qualified. The substances being injected are substandard. The skill level of the injector is not up to par. The facility does not abide by best practice standards set by the filler manufacturers. It costs good money to provide quality dermal fillers that are injected by a medical professional with many years of experience. As you can tell by the above list, there are many reasons why cutting corners is dangerous. It takes special training and many years of injecting to perfect the techniques needed to produce excellent results. Look for someone who has 5+ years of injection experience with facial fillers. You should be able to tell by the provider’s before and after pictures whether or not their results are stellar. They should have plenty of before/after pictures in a photo album in the office so clients can browse through. Great artists are proud to show off their work, and an injector’s results should be no different. Also, go online to look at reviews (not on the injector’s own website) to see objective and fair evaluations of the person’s work. If you see comments that don’t represent the results you want, walk away and find someone better. 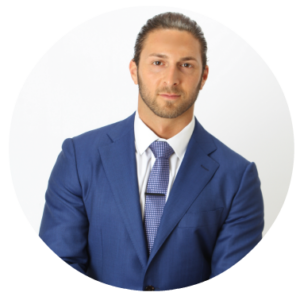 For over a decade, James Christian Sardelli, RPA-C has been injecting wrinkle fillers and facial muscle relaxers. He has the experience you’re looking for in a highly qualified provider. Having trained under some of the best plastic surgeons in New York, his techniques and gentle touch make injections a breeze…and he produces stunning results. Hundreds of clients visit him each month to enjoy a more youthful look. With all 5-star reviews on Facebook, come and see for yourself what James can do for you. Will you be his next 5-star before and after? Call him today at (917) 860-3113 for an appointment. James Christian Cosmetics has locations throughout Nassau and Suffolk County with offices in Manhattan, Commack, West Sayville, Babylon Village, Westhampton Beach, Rockville Centre, and Farmingdale, New York.